Join our lively work crew. FT or PT, from mid-May to October or November. Tasks include greenhouse work, transplanting, weeding, harvesting, washing and packing produce. Prior farming experience is valuable but not necessary. Schedule for FT workers is Monday – Friday, 9:00 am to 5:30 pm (or 6:00 pm). PT positions are available, at four days per week. PT workers must be available to work full days (9:00 am to 5:30 or 6:00 pm). Competitive wage ($12+/hour depending on experience), catered lunch 1 or 2 days per week, organized carpools from Madison, possible year-end bonus, plus lots of organic veggies to take home. Friendly work environment. To apply: Send your resume to wholesale@tipiproduce.com . We hire several high school students to work during summer recess, June – August. The work is part-time, Monday – Friday, 8:00 am to 12:00 noon. You can work 4 days per week or 5 days per week. Applicants must be physically fit, hard working, and punctual. We expect a summer-long commitment but can work around family vacations and sports training days. Starting pay $9.00/hour plus free vegetables to take home. To apply: Send your name, age, and email address, to wholesale@tipiproduce.com . ASSISTANT FARMER (one position) Position is filled..
We plan to hire an assistant farmer to help manage our 45 acres of certified-organic vegetable crops. You will encounter a broad range of interesting machinery, crops, jobs, and responsibilities. Expect to be involved with tillage, crop establishment, cultivation, spraying, irrigation, and many other tasks. This is a good next step for someone with 3 to 5+ years experience operating a range of farm machinery on a commercial farm. We strongly value experience with machinery maintenance & repair, as well as irrigation, carpentry, and/or pesticide application. It is helpful if the candidate has a CDL or experience driving a larger truck. Applicants should have some of these skills but it’s not required for an individual to have all of them. A willingness to learn is essential. The assistant farmer will work independently much of the time, but will join our harvest crew at times. Candidates must be physically fit. The position is full-time (40 – 50 hours/week) during the growing season, but we will consider PT candidates who are available 30+ hours per week. 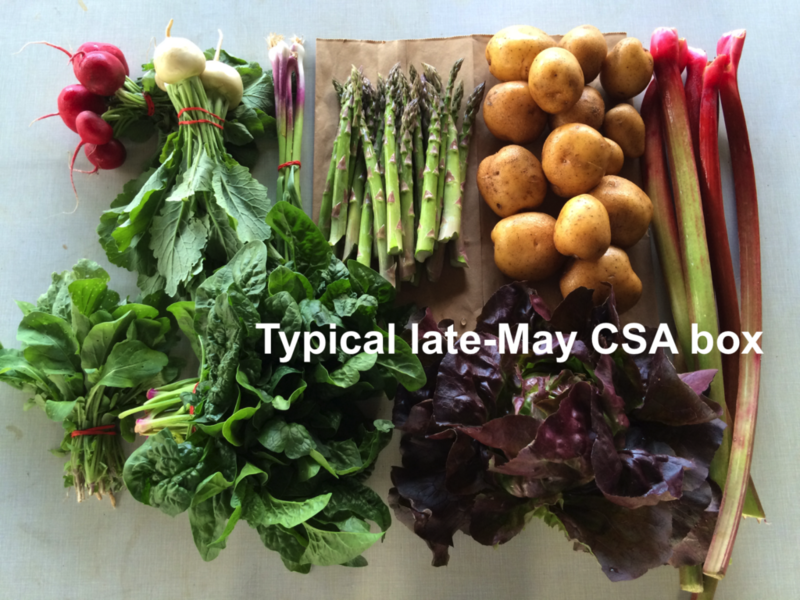 Our growing season runs March/April – November. Part-time work is likely to be available during the 2019 – 2020 winter. We do not offer on-farm housing but affordable rentals are available in nearby towns. We value the Assistant Farmer living nearby, and will give preference to candidates who choose to live within 15 miles of our farm. Compensation: $16+ per hour, based on experience, plus a possible year-end bonus. Catered lunch 1 or 2 days per week plus lots of organic veggies to take home. To apply: Send your resume and the contact information for 2-3 work references, to wholesale@tipiproduce.com .